100% spun soft polyester fleece with non-pill finish on surface. Bottom hem with drawcord and toggles. 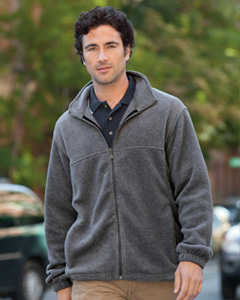 Midweight fleece – highly breathable.